I came up with this tutorial because one day, my friend Suvigya and I were struggling to work on the Raspberry Pi because we did not have any HD displays. Hence, I came up with this tutorial so others in the same situation as ours would be able to use their laptop display as a monitor for their Raspberry Pi. As we know, Raspberry Pi is known as the “Pocket Size PC”, but for debugging and project purposes it’s cumbersome to carry an additional display for it. Also, many of us don’t have access to an HDMI display, so, we figured out a way to easily connect a Raspberry Pi to a laptop display. So sit back and enjoy this simple tutorial! To connect a Raspberry Pi to a laptop display, you can simply use an ethernet cable. The Raspberry Pi’s desktop GUI (Graphical User Interface) can be viewed through the laptop display using a 100Mbps ethernet connection between the two. There are many software programs available that can establish a connection between a Raspberry Pi and your laptop. We used VNC server software to Connect the Pi to our laptop. Installing the VNC server on your Pi allows you to see the Raspberry Pi’s desktop remotely, using the mouse and keyboard as if you were sitting right in front of your Pi. It also means that you can put your Pi anywhere else in your home and still control it. Also, the internet can be shared from your laptop’s WiFi over Ethernet. This also lets you access the internet on the Pi and connect it to your laptop display. Before moving to connect your Raspberry Pi to your laptop display, you need an SD card with the OS preinstalled, or install Raspbian on a blank SD card. If you’re not familiar with Raspberry Pi commands, check out this tutorial for Basic Linux Commands. You will find lots of blogs and tutorials on preparing an SD card for the Raspberry Pi. If you are a beginner, you can simply download this free beginner’s guide eBook. This will show how to install the OS for the Raspberry Pi. You can also buy SD cards with the Raspian and NOOBs operating systems preinstalled. After setting up your SD Card, insert it into the Raspberry Pi. Next, connect your micro USB cable to the Raspberry Pi to power it. Also, connect your Raspberry Pi to the laptop via an ethernet cable and connect a keyboard and mouse to it. Now, connect the HDMI display (the HDMI is only required to run the Pi for the first time) and power on your Pi. Follow the next steps to connect your Raspberry Pi to a laptop display. This step explains how you can share your laptop internet with the Raspberry Pi via Ethernet cable. Stop the ping after 5 seconds. If you don’t have an HDMI display: If you do not have a display even for one-time setup, then no need to worry. Install Putty as per your Windows configuration and via SSH you can connect with your Raspberry Pi. As you get access to your Pi terminal, run the same commands as above to install VNC. You will be prompted to enter and confirm a password. This will be asked only once, during first time setup. Enter an 8 digit password. Note that this is the password you will need to use to connect to your Raspberry Pi remotely. You will also be asked if you want to create a separate “read-only” password – say no (n). Yippeee!….The VNC server is now running on your Pi and we can now attempt to connect to it. First, we must switch to the laptop, from which we want to control the Pi. Then set up a VNC client to connect to the Pi. Finally, the Raspberry Pi desktop should appear as a VNC window. You will be able to access the GUI and do everything as if you were using the Pi’s keyboard, mouse, and monitor directly. As with SSH, since this is working over your network, your Pi can be situated anywhere as long as it is connected to your network. Open “.config” folder from the Pi’s: user folder (it is a hidden folder). Now next time you reboot your Pi, vncserver will start automatically and will seamlessly connect your Raspberry Pi to a laptop display. Good job! Whenever you want to do something with your Pi, just connect it with an ethernet cable to your laptop and power it. Then open VNCViewer, mention the IP address of your Pi, and you can use your laptop’s display as the Raspberry Pi’s monitor. Hello, my RPi 3 model B has no USB power and I’ve just installed raspbian on it. Is there a way to give RPi IP with SD card in order to access it remotely? I want to connect my RPi3 to my laptop wirelessly. Could you help me? Got up to the point of the password command prompt while setting up the vnc. Will not let me type a password after that. I can get VNC up and working but not the austostart, I have loaded raspberry PI three times and made sure to the programming. your website ǥot here uρ, it seems to be goߋⅾ. Ⅰ have bookmarked іt іn my google bookmarks. informative. І am going to be careful foг brussels. Ι’ll aρpreciate ѕhould уou proceed tҺis iin future. Numerous people ѕhall be benefited fгom yοur writing. thanks for the help… but have issue making it autostart. type ‘nano tightvnc.desktop’ if you don’t have the gnome text editor. Use ‘raspberrypi.mshome.net’ as the ip, works for me. Hi, I would like to ask how do you configure the microphone? It does not record anything and shows No Translation. And how do you edit the command file? I faces Permission denied problem. By the way, I am using Raspberry Pi 3 model b+ and Logitech Webcam C170. Thank you. What if your running Debian on your laptop? Hi… My pi got connected. The desktop is opened in the vnc viewer. But the desktop is empty(fully grey). Right click works which shows some options like terminal emulator, web browser, restart, exit etc., Why cant i see my desktop wallpaper and the icons on it…?? Beautiful, it worked for me! Just one thing: do not connect the ethernet cable while the RPI is restaring (otherwise it just keeps on restarting). At least that is what happened to me. Thanks a lot! 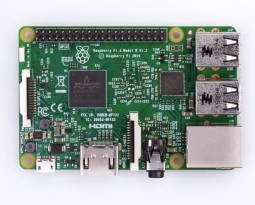 So i have a question, i have already configured my pi, summing up all the steps above, if i connect my pi to an Ethernet connection and give that ip address to the VNC server software on my laptop, it should display the raspbian screen right? It worked with putty, just wondering if it will work this way. I did this at my university so i am assuming that my laptop was connected to a wifi and the pi to an ethernet cable and by just giving the ip address of the pi to my the VNC software on my laptop should yield an instant access to the raspbian? whenever i connect to my respberry pi, the screen is duplicating and cannot do anything. how can i solve that? I a beginner , starting to use raspberry PI Model B. Connected it to the laptop via HDMI port. Setup Putty, commands worked and everything done. Downloaded VNC. Assigned password for VNC viewer but when I click connect it opens it an array of hundred’s of windows. Please help. You don’t need the HDMI cables. In fact, it won’t work if you connect those two ports as both are Output ports. We only need the Ethernet connection. Seriously amazing 🙂 thank you so much for a clear tutorial that Just Works! Can i use it for orange pi pc too?I think that would work for it too. You are so amazing man.. Worked perfectly…. Well, My laptop doesn’t have an ethernet port. i want to interface ATian 3.5 Inch TFT LCD Monitor. i want some steps required for it. After going to the network and sharing centre –> properties –> sharing i’m not getting that drop down list for networking connection to change it to local area connection. Please help. I’m trying to set up my Raspberry Pi A+ for the first time using this method. However, the A+ model doesn’t come with an Ethernet port so I’m using a USB to ethernet port to connect the Pi to the laptop. However, the ethernet dongle doesn’t light up like it usually does on making a connection. So when I ping, I don’t get any replies. PS. I’m working without a HDMI cable/monitor. Everything just worked fine but I’am not getting Rpi background instead blank grey screen, where if you right I get pop up menu with terminal, browser options. Is there any method to bring that proper gui? Like home automation Project…In that only ON/OFF commands only there…But in my idea,Any contents entered in HTML page..Need to be displayed in DISPlay..So please Guide me..How to Do it..
Great job..! It is working. Thank you. This method worked really well until the IP address assigned to my laptop was no longer visible and it chose automatically choose IP address. Any ideas how to get round that? When i’m sharing my internet over LAN, It gives me error..
What to do ? Please help. Well, actually there’s a way you could. It seems they disabled SSH in recent Raspbian versions due to security concerns but you can still enable it by copying and empty file called “ssh” in the boot partition (which should be accessible from any machine with an SD card reader) and then rebooting the pi. in the getting the IP address of pi portion how do i stop the ping after 5 seconds.can anybody please elaborate on that part of the essay. To do this I plugged my pi into my hun via Ethernet and turned it on.. Then I did a network scan and it came up with it? It didn’t change when I plugged into my laptop so that might work? Or plug it into the hub then SSH it and follow some Internet instructions so it is a static ip? Then it won’t change! How can I able to make autostart of VNC server while connecting Rasbi? As i am learning Raspberry Pi, i found that we need to enable SSH in the advanced setting in raspberry pi before. I didnt found nowhere in this tutorial that SSH is enabled; as by default it is disabled in raspberry pi setting. If it isn’t enabled, can we setup the connection between putty and raspberry pi. Please make this edit, otherwise cool tutorial(Might be i am wrong). Grt job, thx Arvind. Hi, there i tried the all above steps as specefied in the above, i was successful complete up to step3(server side), but at the client (my laptop) when i try to connect through the vnc it is giving an error as “server refused the connection”. Great summary. It works fine for me. One more question. How can i get Audio thru the VNC connection? I was using Xming a time ago, it was getting slower and with screen resolution problems, i did not get a solution for this. Actually i am using a wifi module with my raspberry. Hi! I got the rpi 2 and installed ubuntu mate. I was able to view my pi using this tutorial, however I recently found out that each time i connect my rpi2 to my laptop ethernet the IP address changes. how will I know the pi’s IP address so I can connect via putty? Is there any way I can set-up a static ip address? It would be nice to share both internet and display to the rpi2. please help. In step 2 in Wireless network properties window there is no such field as sharing only for LAN. Thank you dear.it helps a lot. No HDMI cable any way to set it up for the first time? I have a Raspberry Pi Model B that I’m trying to connect with my Windows 7 laptop using the above steps. I made it to Step 3 and was able to connect to the Pi through Putty. Hi, the error means your Pi is not getting internet connection. It is getting failed to ping the server of Raspberry Pi. Check the internet connection. How you have connected the Pi to internet? I have a raspberry pi model B,and i installed rasbian using NOOBS , hooked it to my TV and it showed the rasberry pi desktop successfully. But when i hook it to my laptop it wont show anything,are there any setting i should do? or any support software i should download? Will you be able to use the laptop normally when you unplug the raspberry or after you have plunged it in you can only use it for the raspberry??????? Yes, you can use the raspberry pi and the laptop simultaneously. On the laptop, there will be a window through which we access the raspberry pi. Thanks a lot Sohil! Seamless tutorial and worked on the first try. can i use a idea net setter as an Ethernet cable? Well written blog, Nice layout and interesting to read. Good luck. Your blog says “Keyboard and mouse” are optional, and step 1 says “connect the Keyboard and Mouse”. How do I go about – “without” using keyboard and a mouse to begin with. I am a beginner. Initial setup would require using the keyboard and mouse. If your lap has wifi, then this method would definitely share internet with the pi too. I could not find the raspberry pi IP address, I had to found out from the raspberry using the display by typing : hostname -I on the LX Terminal. when i ping 192.168.137.1, it works fine; but any other address such as 192.168.137.255 do not work and say “request timed out”. Why don’t you use simple Remote Desktop client? Windows inbuilt and also having Android app. Very handy. No need of that VNC client. Awesome. Thanks! I was able to set this up using the xrdp. It looks like the xrdp uses the tightvnc libraries anyway but is simpler. To add to this, I was able to not have to find the the ip address by just putting the name of the device ‘raspberrypi’ into the rdp connection detail window from my windows laptop. Even if you do need to find the IP, I recommend “angry IP scanner”. Thanks Robert.I was going through the blog, things were not working for me, I came across this comment so I downloaded ‘Angry IP Scanner’ connected r-pi to my lapi found its IP and directly copied it to ‘Putty.exe’ and it worked!! No vcu or any initialization required as mentioned. Thanks People!!! When i tried to connect internet via ethernet cable to Pi.The browser showed couldn’t locate host.The orange and green indication is on in LAN port of pi.When i tried same connection in Laptop it worked fine.But host error is showing in Pi.What is the problem ? © EETech Media, LLC. All rights reserved. Unauthorized use and/or duplication of this material without express and written permission from the author and/or owner is strictly prohibited. Links to this site may be used, provided that full and clear credit is given to DIYHacking.com with appropriate and specific direction to the original content.